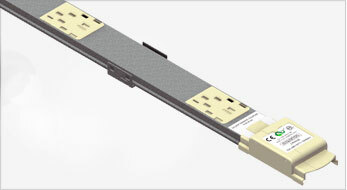 Snake Bus is a modular power distribution system that offers the most flexibility in power distribution in access floors. It is the ideal solution for work stations, call centers, and trading floors. 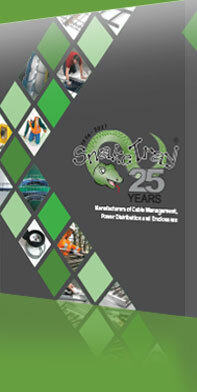 When using Snake Bus, expect an overall cost reduction for under floor power construction in excess of 30%! 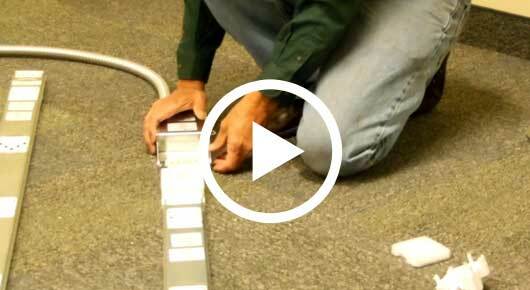 Fast – Traditional methods of hard wiring equipment are eliminated. Snake Bus’ pre-configured components allow you to instantly create your power distribution system. Energy Efficient – Snake Bus’ innovative bus bar technology is more efficient than traditional copper wire. 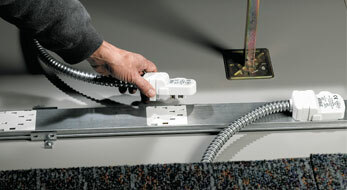 Bus bar technology experiences less voltage drop which can save on energy consumption. Flexible – Installations, adds, moves and changes are easily done with the Snake Whips (tap offs) that deliver power to individual devices anywhere along the track and can be moved with a 10 second connection. Powerful – Snake Bus’ three-phase advantage delivers 50 Amp 3-Phase 208 Volt providing up to 17.5 Kilowatts of power in one easy-to-install track. Compatible – Snake Bus is compatible with all post and panel raised floor systems, as well as low profile access floors. 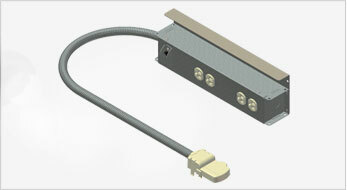 Convenient – Together, Snake Bus Feed modules and power track sections are quickly coupled together with the included splice component creating a complete power distribution solution for the raised floor environment. 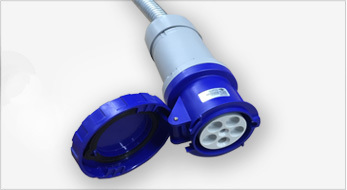 Individual power modules are then attached to the Snake Bus track system making installation and retrofits simple and easy for both large and small scale installations. 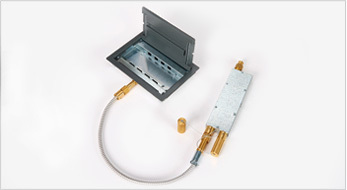 Functional – Provides both the equipment and isolated earth ground in one single system. Sleek – Snake Bus’ slim profile fits in a space less than 2 1/2-inches in height allowing for proper airflow under an access floor. The flexibility of the linear design complements workstation and data center layouts. Green – Snake Bus uses approximately 30% less copper than traditional wiring methods. The system is completely reusable and moveable.